Want to benchmark your subscribe forms against household brands? Join our webinar & discover the state of email subscribe forms! 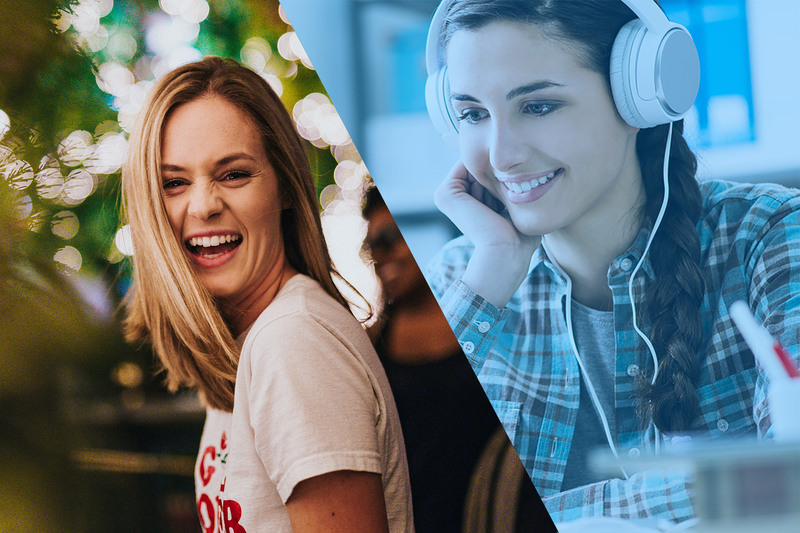 Holistic Email Marketing and Pure360 have come together to provide you with this insightful webinar, enabling you to gain insights on the state of email subscribe forms, as well as GDPR, from some of the industry’s finest email marketers, Kath Pay of Holistic Email Marketing & Komal Helyer of Pure360. 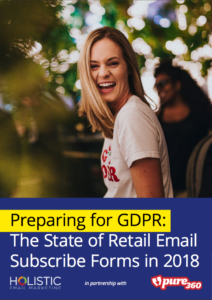 In January 2018 we subscribed to emails from 80 different retail brands of all sizes, markets and name-brand familiarity and put all the findings together in a report, Preparing for GDPR: The state of Retail Email Subscribe Forms in 2018. 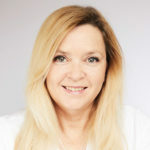 Kath Pay, founder of Holistic Email Marketing – Kath lives and breathes email marketing, with over 18 years email marketing experience, and 10 years on the UK DMA Email Marketing Council, she is regarded as an industry thought leader. Kath is recognised as one of the UK’s leading Email Marketers and heads up training for Econsultancy on Email Marketing. Komal Helyer, Head of Marketing at Pure360. With over 18 years of email and digital experience, Komal has a deep understanding of marketing strategy, a marketer’s needs and how that translates into the use of marketing technology. She leads the Pure360 marketing team with a focus on market positioning and customer lifecycle marketing. 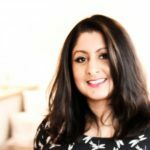 Komal has worked with some leading brands including HSBC, Carphone Warehouse and Black & Decker.